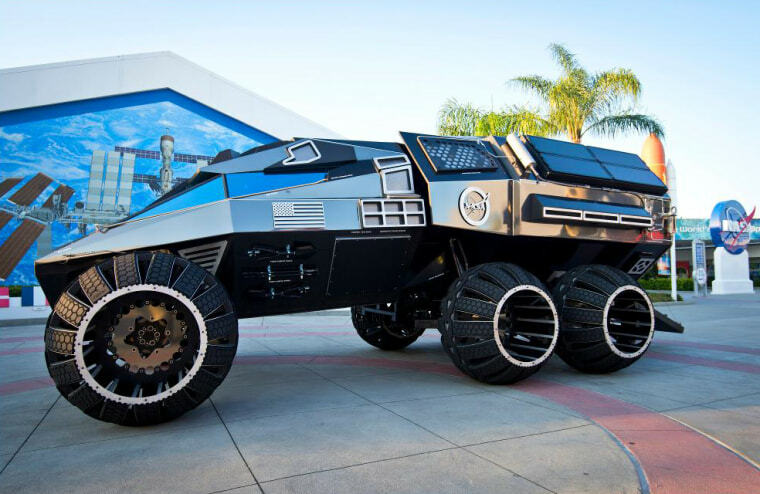 The rover was built for the Kennedy Space Center Visitor Complex — a space museum center near the NASA spaceport in Cape Canaveral, Florida — as part of its Summer of Mars program this summer. It will be used "for the purposes of education and inspiration," Complex representatives explained in an email alert last Friday. A quick look at the Visitor Complex's Summer of Mars website revealed a tantalizing clue. The rover is part of the complex's new Astronaut Training Experience attraction that's opening in the fall. And the rover is not staying in Florida this summer! Like any good rover, it's hitting the open road. "Check back here for cities and dates of the rover's East Coast tour this summer!" the website reads.